On April 1, 1850, a planning meeting took place in Santiago, Chile, to organize a new political association that sought to democratize the thirty-year-old republic. The attendees were all male, and included master and journeymen tailors and shoemakers, two young men recently returned from a European sojourn, the conductor of the city's orchestra, a law professor, and a few "liberals"" from the opposition party in Congress. The attendees believed the Society of Reform, the city's outmoded club for reformists, was inadequate, and they wanted to replace it with a group that reflected the more "revolutionary spirit"" of the times. 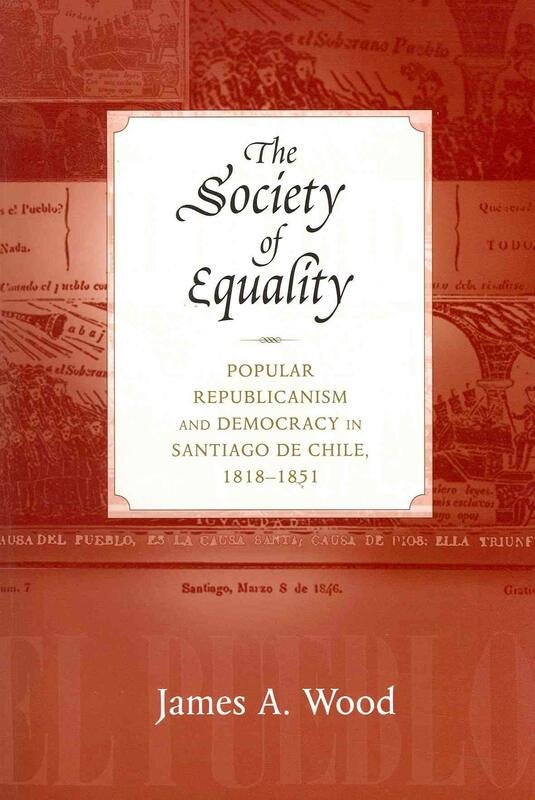 Wood argues that the society created at that meeting, the "Society of Equality,"" set a new standard for democratic thought and action in Chilean history and was arguably the most democratic political association of its era in all of Latin America. It represented the first stirrings of modern democratic thought and practice-however fleeting-in Chile's hierarchical class structure. Ironically, it would be the persistent class relationships that prevented the Society from withstanding the onslaught of Church and state repression. James A. Wood teaches history at North Carolina Agricultural and Technical State University. He is the coeditor of Problems in Modern Latin American History, Third Edition.